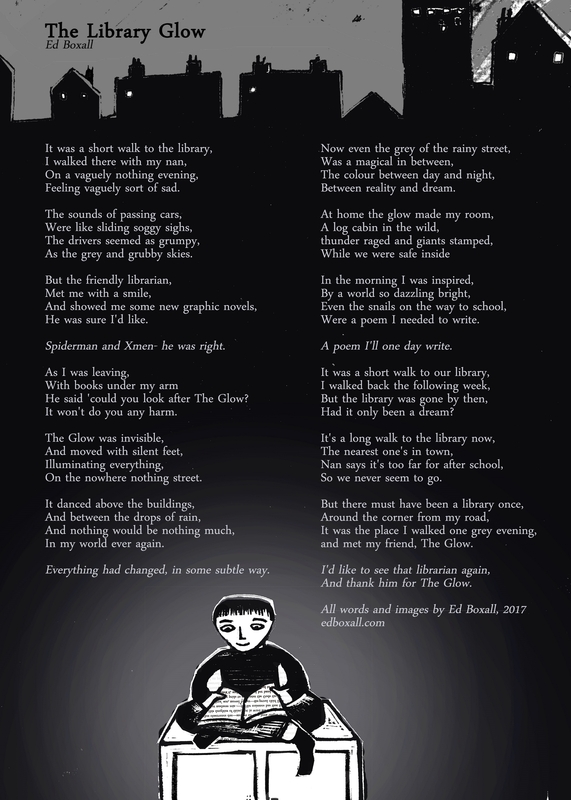 I have made a series of illustrated versions of my poems as posters. They are 30 x 41 cm (A3) and so fit happily into off-the-shelf frames. They are professionally packed with thick card backing in sparkly transparent cellophane bags. They are full colour, high quality digital prints on card. 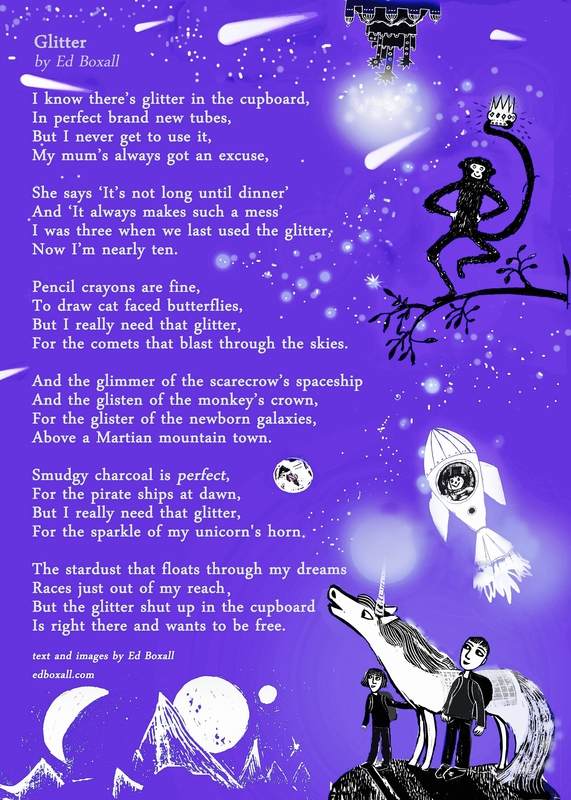 I have rubber stamped glittery stars in the background to give them a touch of something sparkly and special.